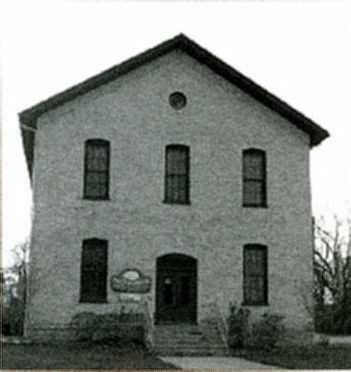 The Byron Center Museum and Historical Society operates a museum and a genealogy research room in the Historic Town Hall built in 1876. 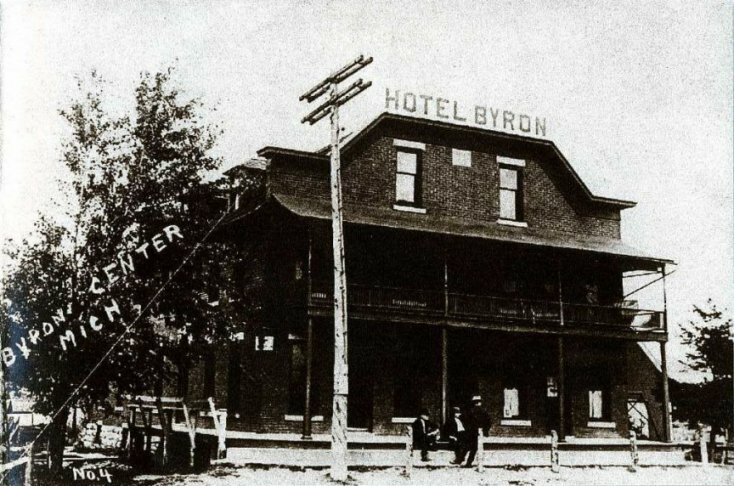 The society was organized to preserve, protect the history and heritage of Byron Township. The building is 137 years old! The main floor includes the old post office, a doctor's office and a store. Displays on farming reflect the rich rural history of all 36 square miles of our Township! We have a great collection of pictures, quilts and farm implements available for your viewing pleasure! The Odd Fellow Society originally held a 99 year lease on the second floor of this building. Our generation has only a small amount of knowledge about the Odd Fellows and secret societies. We also have a terrific history with our local Grange and farm histories. Come, visit! We currently hold a great collection of Veteran history in the front half of our large second floor. The renovated second floor also holds a real life school room for use in recreating what the school experience was like in years gone by. Also on display are the local high school senior pictures dating to 1930. Please contact us for reservations for school or Scout tours. Take in one of our featured speakers on historical subjects or attend one of our antique road shows and have your heirlooms appraised. Join us as we host an annual open house of our Museum for the Community Christmas Parade every year in thanks for all of the support that we receive through out the year. All new displays upstairs and downstairs - completely renovated. 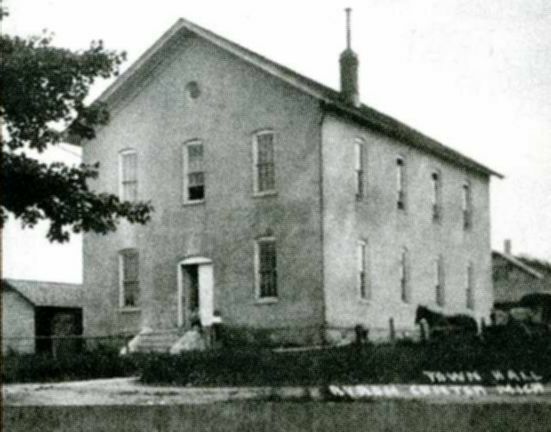 We invite you to come get involved in the Byron Center Museum and Historical Society. Your help and ideas will make it possible for us to keep offering interesting and informative programs to our community. Please keep in mind that we are the destination at the end of the Kent Trails as well, a beautiful path for family and friends to enjoy. Quarterly newsletter with interesting historical facts and who's-who tidbits about the township as well as announcement of upcoming speakers, programs and antique appraisals. Best of all, your membership dues make it possible to preserve the historical heritage of Byron Township. 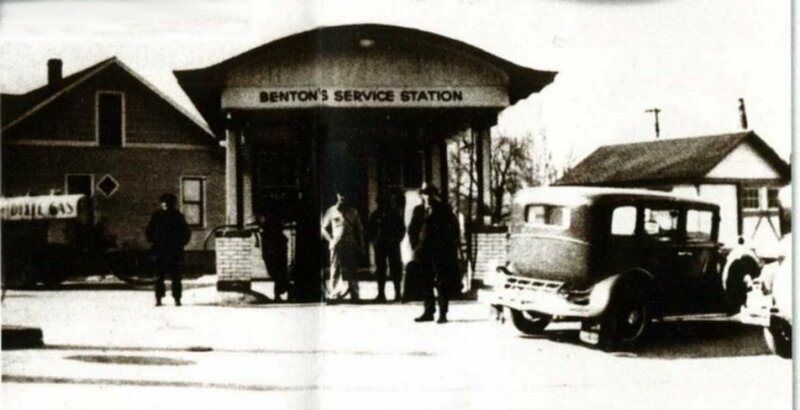 Let us help you discover your Byron Township family history. 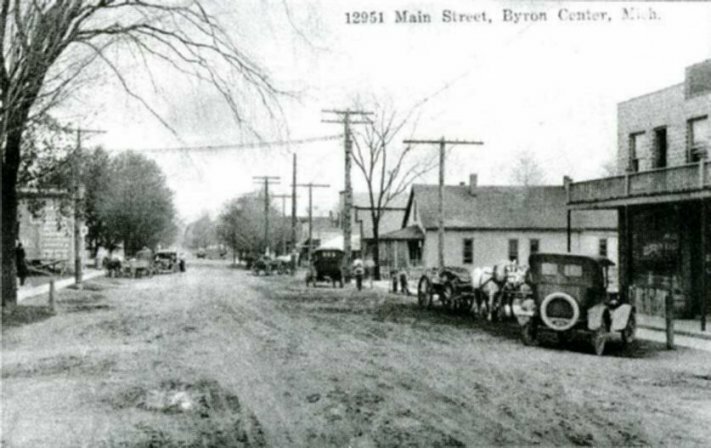 Facebook: "Byron Center Historical Society"
Located one block south of 84th Street and two blocks west of Byron Center Ave. From 131, go West on 84th Street to the four corners of Byron Center Avenue. Turn left, go one block, turn right go two blocks and you will see our wonderful two story building. NEW HOURS: Tuesdays from 10:00am - 4:00PM. Closed for winter except by appointment. Open for tours with prior arrangement.